Virginia “Ginni” Rometti is the ninth CEO in IBM’s 100-year history. (Founder Thomas J. Watson and son combined to lead the company from 1914 to 1971.) IBM’s announcement earlier this week that Rometty will succeed Sam Palmisano as CEO is notable for how non-controversial it was given some other industry successions of late. This even though Rometti is IBM’s first female CEO and now arguably the most powerful women in business. Here is the chronological list of IBM’s CEOs throughout its history. 1: Thomas J. Watson — CEO from 1914 to 1956. (IBM itself was founded in 1911 as the Computing Tabulating Recording Company or CTR.) Watson, a former top NCR salesman, came aboard in 1914 as general manager and was soon tapped as CEO. The company was subsequently renamed International Business Machines. Watson Senior built a sales powerhouse with a no-nonsense corporate culture and a strong focus on research and international sales. 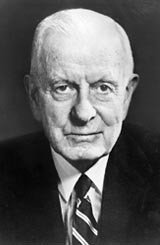 2: Thomas J. Watson Jr. — CEO from 1956 to 1971. Son of IBM’s founder, he was instrumental in moving the company into the electronics era and building it into the mainframe powerhouse that is still lauded as a paragon of the business world. 3: T. Vincent Learson — CEO from 1971 to 1973. Learson joined IBM in 1935, became a VP in 1954, an SVP in 1964 and president two years later. He joined the board in 1966 and remained a director through 1975. He rejoined the board in 1977 remaining till 1983. 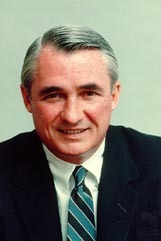 4: Frank T. Cary — CEO from 1973 to 1981. Cary joined IBM in 1948 as a marketing rep, rose to president of the Data Processing Division in 1964. He was named SVP in 1967 and joined the board of directors the next year. He was elected executive VP and a member of the executive committee and then president in 1971. After stepping down as chairman and CEO, Cary remained a director of the company until 1991. 5: John R. Opel — CEO from 1981 to 1985. Open joined the company in 1949 as a sales rep, rose to VP in 1966 and was named VP of corporate financce in 1968. Four years later he was tapped as group executive of the Data Processing Group . Later that year, he joined the board of directors and was named president. After stepping down as CEO, he remained chairman of the board until 1986. He stayed on the board until 1993. 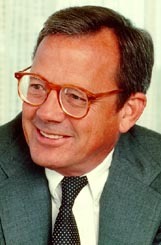 6: John F. Akers — CEO from 1985 to 1993. Akers came aboard as a sales trainee in 1960, moved through marketing and became president of the Data Processing Division in 1974. He became a VP in 1976, an SVP in 1982 and president the following year. In 1986 he was named chairman of the board. He retired as both chairman and CEO in 1993 after 33 years of service. 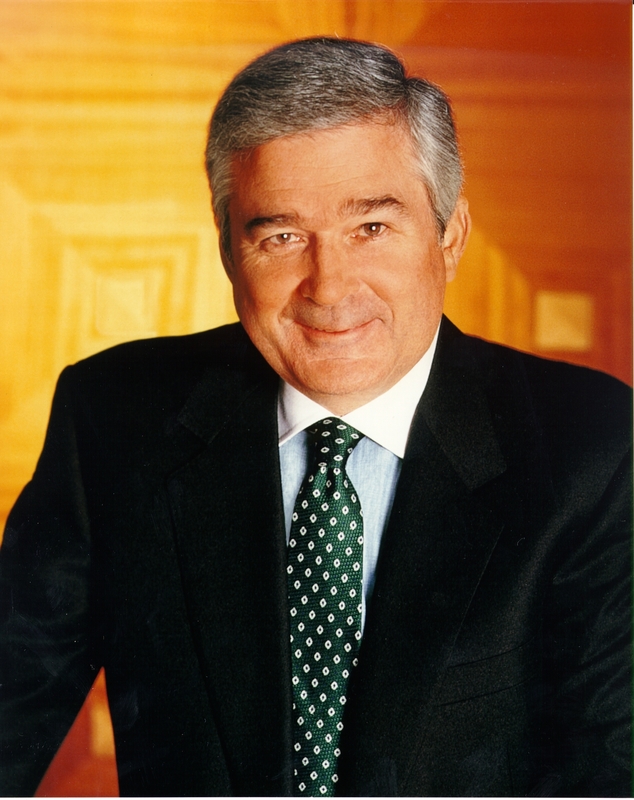 7: Louis V. Gerstner — CEO 1993 to 2002. The first non-IBM “lifer” to assume its top job had been CEO of RJR Nabisco for four years and spent 11 years at American Express Company, where he was president of the parent company and chairman and CEO of its largest subsidiary, American Express Travel Related Services Co. Before that Gersnter was a director at McKinsey & Co., Inc., the big management consulting firm. 8: Sam Palmisano — CEO from 2002 to 2012. Palmisano started at IBM as a salesman in Baltimore in 1973. He rose through the ranks to become president of the Enterprise Systems and Personal Systems groups. Palmisano helped create IBM Global Services. He became president and chief operating officer in 2000. He will step down as CEO in January 2012, but stay on as chairman of the board. 9: Virginia Rometty — CEO 2012. Rometty joined IBM as a systems engineer in 1981. She became general manager of IBM’s Global Insurance and Financial Services Sector and joined IBM Consulting in 1991. She rose to SVP of IBM Global Business Services where she helped architect the $3.5 billion acquisition and subsequent integration of PricewaterhouseCoopers Consulting in 2002.
john opel was ceo from 81 to 85 but stepped down in 81? That doesn’t seem right. The timeline was correct but the text wrong. 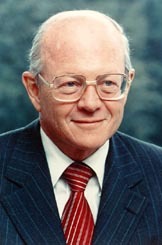 Opel stepped down as IBM CEO in 1985, he stayed on as chairman till 1986, and remained a member of the board till 1993. Sounds like she is also the first CEO who started as an engineer. i think you’re right. Most of the rest started as sales reps. But i’ll double check. You are correct. I fixed the reference. Thank you.